I went to a Bon Jovi concert and when Jon sang Livin' on a Prayer one of the lady's in the front row got pulled up onto the stage and got kissed by him. 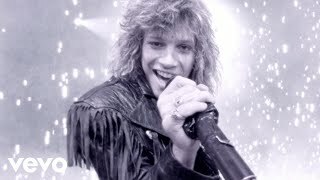 OMG!This song is amazing!I love it!Imma do my next Ice-skating routine to this!Lol.I rock this song on Rock Band!Lol.Anywho,Love ya foreva Bon Jovi.This is your best song ever! OMFG THIS IS THE BEST SONG EVA!!!!!!! IT GETS PLAYED AT THE SHAMROCK LIKE EVERY WEEKEND WHEN THE BAND PLAYS!!!!!! ITS THE BEST!!!!!!!! Love it never gets old! Whoever wrote it, SUPER GENIUS!